Call him a publicity monger or trendsetter of bizarre business ideas, but Michael O’Leary, one of Ireland’s wealthiest businessmen and CEO of Dublin-based budget airline Ryanair, makes headlines like no one else. Just like his airline, he too has a knack for looking at things unconventionally. The O’Leary taxicab service is one such example. Michael O’Leary is the sole owner of O’Leary cabs, an Irish taxicab service provider. The twist is, the company owns a single cab. Yes, one. 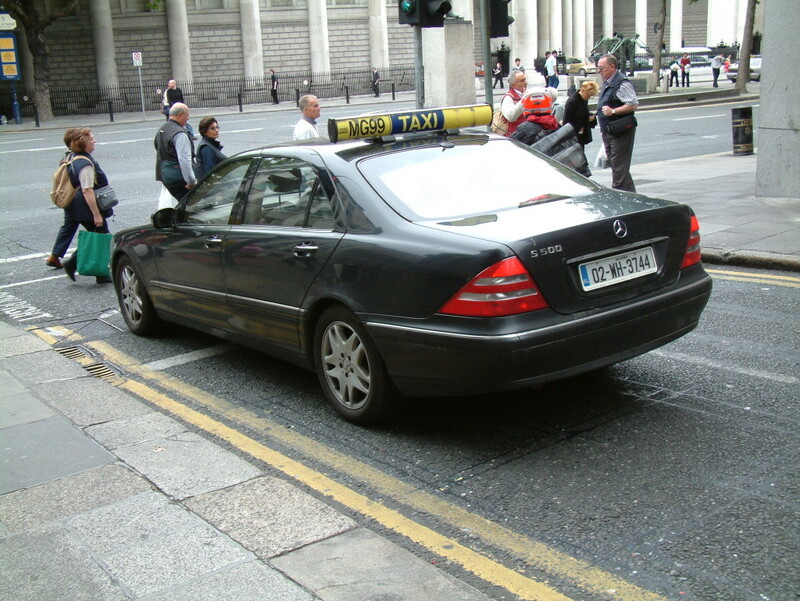 It’s a 2007-Mercedes-Benz S-Class taxi, with Mullingar hackney carriage license MG99 and primarily operates between Ryanair’s headquarter at Dublin airport to Michael O’Leary’s home in Mullingar. The car has a taxi meter and, unlike normal cars, is allowed to use the bus lanes within Dublin. Time is money for O’Leary. He didn’t like waiting at traffic congestion between Ryanair’s Dublin airport headquarters to his home at Mullingar. So he bought a private car, paid £4,000 for its taxi license and equipped it with a taxi meter so that he could legally to use Dublin’s bus lanes. The taxicab service has able to show nearly $1 million profit per year and despite being the owner, O’Leary pays the taxi service for transportation. Just like O’Leary, Ryanair has had its share of out-there ideas. A low-cost airline, Ryanair has tried every trick in the book to make flying cheaper. Thanks to its no-frills model, the seats in their airplanes are non-reclining, have no seat-back pockets, safety cards are stuck on the back of the seats and life jackets are placed overhead instead of under the seat. This cuts down on costs and enables faster cleaning and safety checks. But that’s not it. The company had briefly considered removing two toilets on their planes to add more seats. If that didn’t raise a big enough stink, they also contemplating charging passengers to use the on board toilets. They even had a much-debated plan to charge extra for overweight passengers. They’ve also had bizarre ideas to increase plane capacity by designing vertical seats so that passengers can travel standing. But these ideas are working. Ryanair is flying higher than ever, becoming the first airline to fly more than 10million international passengers a month. And O’Leary is presumably happily cruising around Dublin’s bus lanes in his taxi.